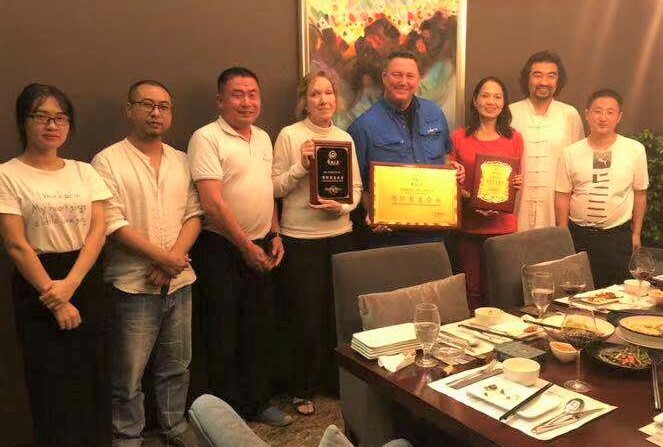 Carolyn Kinder International (CKI) joined The Chang’an Running Club and The Huafu Public Welfare Group for a charity fundraiser last month in the Kinder China Showroom. CKI donated the showroom space and many lighting, furniture and decorative accessory samples to raise funds and awareness for the charity group’s humanitarian causes. Tu was instrumental to the week-long event’s success, working tirelessly into many late evenings. 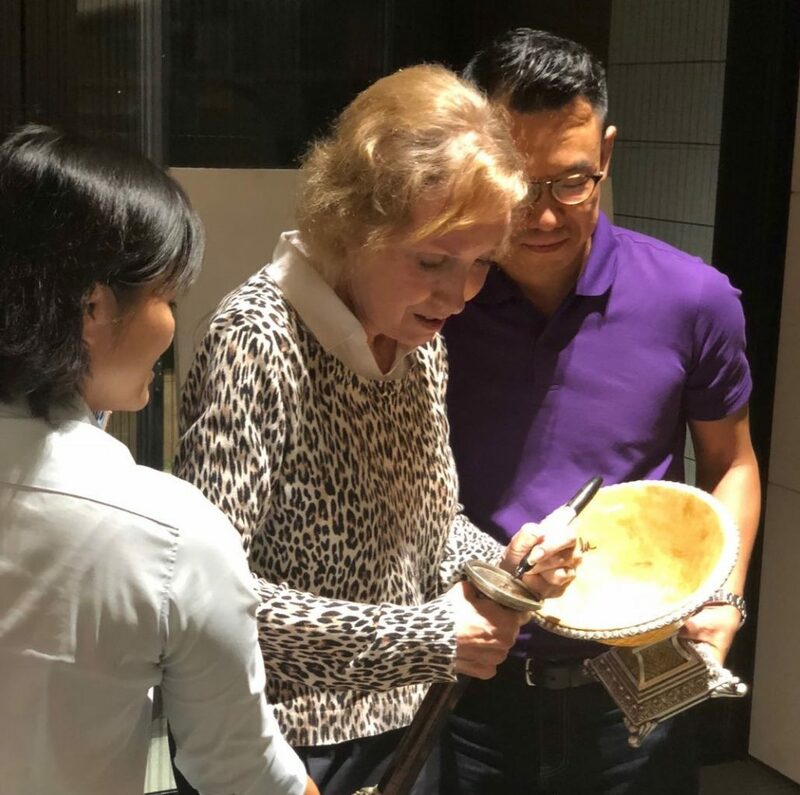 Several of the happy contributors brought their samples back to have Carolyn Kinder sign them and have a photo opportunity. One of the charitable services provided by Huafu Public Welfare is the Warm Winter Program which launched in the winter of 2015. The objective was to provide a bowl of nutritious congee and breakfast for the vulnerable people who hold minimum wage jobs and do the hard work in the city. The free breakfast warms the sanitation workers, every morning, rain or shine. Huafu public welfare has served the “love breakfast” for 1,119 days and counting. 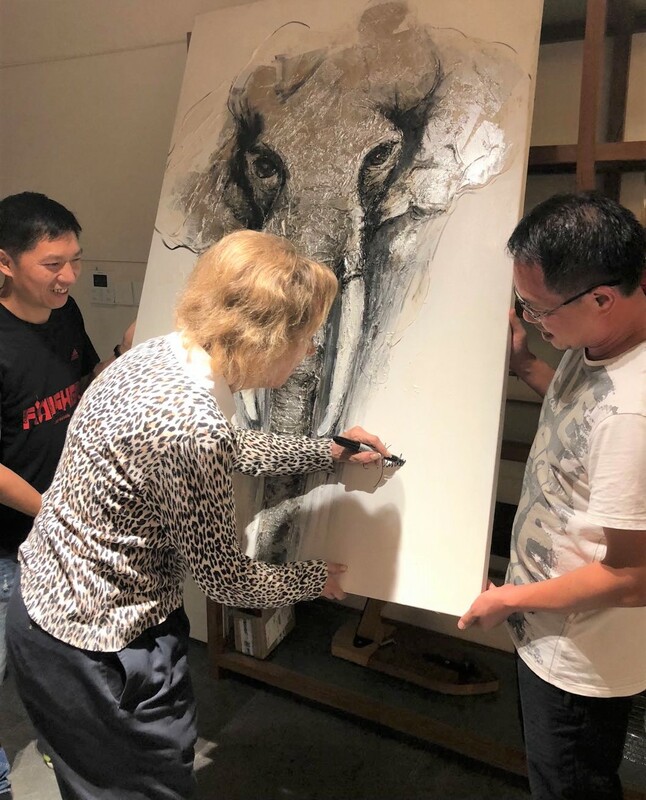 “We thought hosting the event was a great opportunity to give back to the community and the people that we have come to love” said David Simpson, Vice President, Product and Marketing, Carolyn Kinder International.